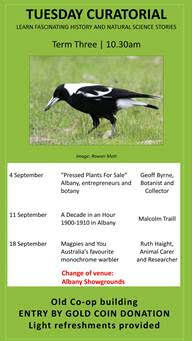 Check out the fabulous events happening at the Museum of the Great Southern. The Black Duck Gourmet Pantry will handsomely repay a visit by those interested in local Albany and Great Southern food products. Located near the centre of town, the Black Duck has a huge range of all sorts of gourmet goodies.